Recently I studied through the book of Jude in my personal devotions. 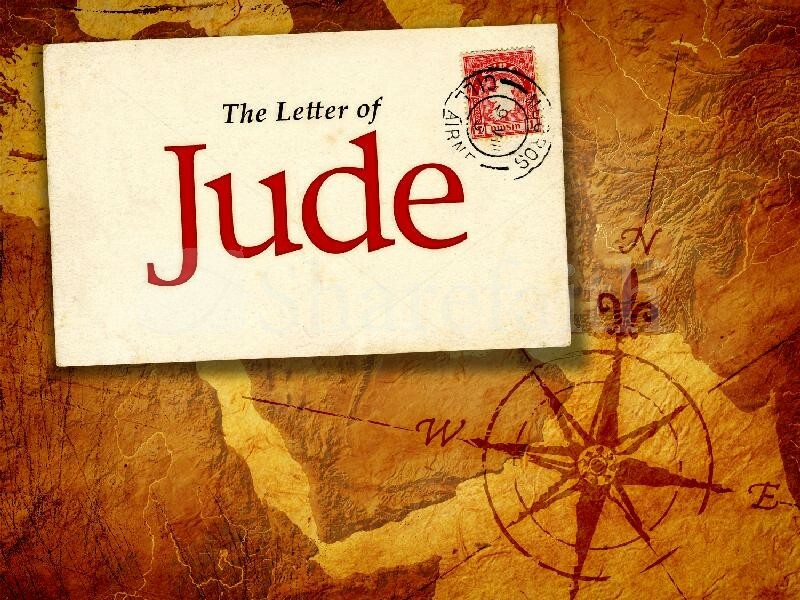 Jude, one of the smallest books in the Bible, often gets overlooked, but it is amazing what you find in this little book if you take the time to read through it. The theme of Jude is best stated in the Holman Christian Standard Study Bible. The HCST Study Bible says, “Jude wrote to urge believers to contend for their faith.” It also says, “Jude sought to protect Christian truth and strongly opposed heretics who threatened the faith.” During the time of Jude writing this book, false teachers crept into the church and was distorting Christian truth as well as denying Christ (Jude 4). As I read through Jude I started to see a few very important leadership lessons that should help us as church leaders today. I want to share the main three that I saw and hope they encourage you to be a better and more Biblical leader as they did for me. 1. Humility is the key to being a good leader. in the opening verse of Jude, Jude introduces himself as “a servant of Jesus Christ and brother of James.” What is so interesting about this is the fact that Jude could have simply introduced himself as a brother of Jesus. We know he could have done this because he calls himself a brother of James who was a brother of Jesus as well (Mark 6:3). By introducing himself as a servant of Christ rather than a brother of Christ, Jude showed being humble and showing humility was more important than his position. In leadership, we often think confidence and often times pride is the way to go, but true leadership happens when you are humble and realize you’re a servant of the one true leader, Christ! 2. It’s easy to look like a good leader, but not actually be a good leader. If you look at verses 12-13 in the book of Jude, you see that the false teachers were involving themselves within the church and it’s activities. Not only involving themselves, but actually taking leadership positions. In these verses Jude says that even though they are in the position of leaders, they really were not true leaders. Verse 12 says, “…shepherds feeding themselves, waterless clouds…fruitless trees…” It’s possible to be in a leadership position and not truly be a leader. A church leader must feed other as well as themselves, they must bear fruit as well as every other Christian must, and they should be serving others. This section of Jude is extremely scaring to me because I never want to be found as a leader who was just in the position, but not actually being a true leader. 3. A good leader must build himself up spiritually as well as building others up spiritually. One hard part of being a church leader is learning how to growing spiritually yourself as well as helping others grow spiritually as well. If we spend all of our time growing ourselves, we will neglect the growth of others. If we spend all of our time growing others, we will neglect growing ourselves. It’s a delicate balance we all must figure out. In verse 20, Jude turns his attention away from dealing with false teachers to dealing with how believers should live in response to everything he has already said. Jude tells believers to build themselves up in their faith, pray in the Spirit, keep themselves in the love of God, and wait for the Lord’s return. All of these things carry the idea of believers giving themselves to spiritual disciplines and living out a consistently walk with God. It is important for leaders to dedicate themselves to their own spiritual growth before others. But Jude then makes it clear you must focus on others spiritual needs as well. He says we must have mercy on those doubting, witness to others to save them from eternal separation from God in hell, and reach out to those who are extremely messed up in sin while being careful. Biblical leaders must serve others spiritually while they themselves are growing spiritually. I hope these simple leadership lessons help you become a better leader. The church today is in need of good, Biblical leaders and I hope we look at Scripture to find out how we can be those kind of leaders. Leadership is one of my passions and I recently wrote a blog called “Why I am Studying Leadership in Seminary” that is worth taking a look at.